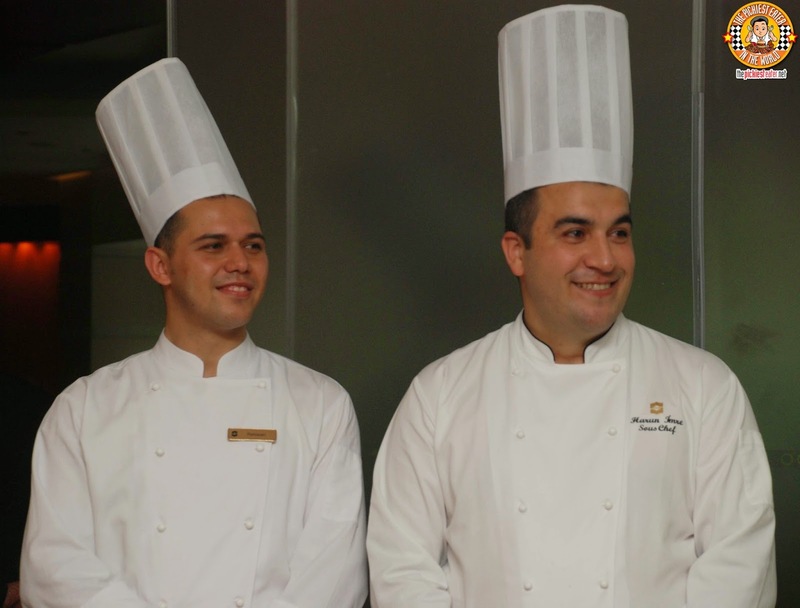 Makati Shangri-la pulled out all stops, and flew in Chef Harun Imre and Ramazam Edrem from Shangri-la Bosphorus, Istanbul, to give the Filipino people a taste of authentic Turkish food. We began the meal with some of the classic appetizers best associated with Turkey, namely (From Center to Clockwise) Hummus, Montabel, Eggplant Salad, and a Spicy Tomato Marmalade. My favorite among the lot was surprisingly, the Eggplant salad, which had a nice, roasted smokiness to it. The Hummus and Montabel also paired well with the Pita bread, making it a delectable dip to set the tone for the meal. Since it had the words, "Spicy" and "Tomato" in it, I wasn't able to try the Spicy Tomato Marmalade, although Rina would attest that it was quite tasty. 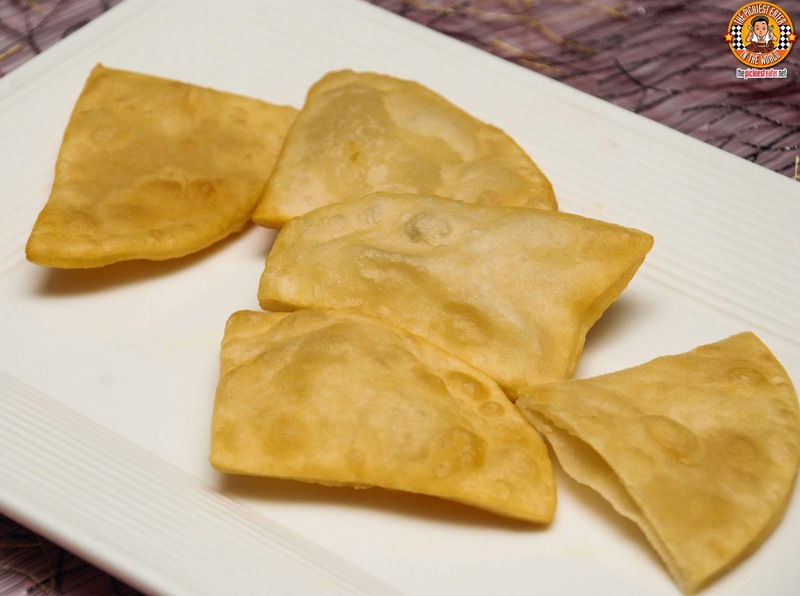 Apart from the usual Pita Bread, we were also served "Fried Pita". It surprised no one when I announced that I like this oilier version, compared to the normal Pita bread. I'm going to go out and say this right now... As delicious as the other items were in the Turkish Menu, it was the Rice with Nuts that blew me away. 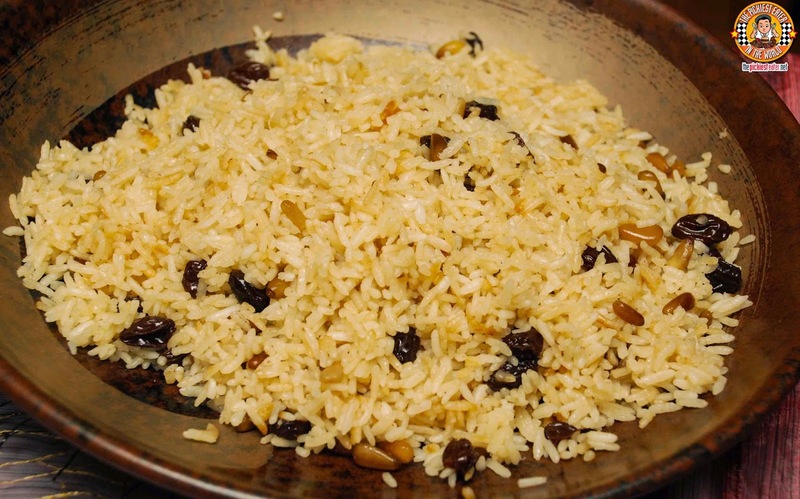 The Long Grain rice had a subtle touch of fragrance, and was mixed with rice and raisins, which added just the right amount of sweetness to the dish. The next dish served to us was the Beef Liver, which was cooked in an assortment of Mediterranean spices. People seemed to like it, but I really don't eat animal innards so I skipped this. Though It's not usually associated with Mediterranean cuisine, I was pleasantly surprised with the presence of Fried Calamari on the menu. 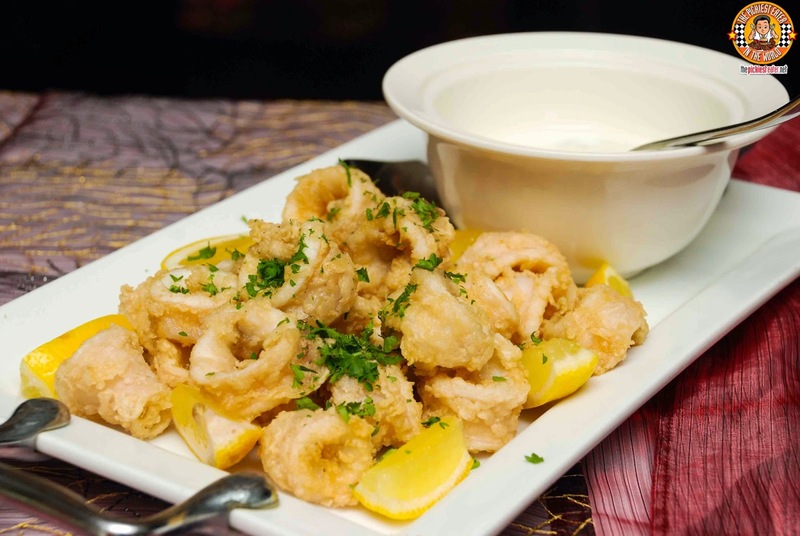 I don't know if you guys know this, but Fried Calamari is actually one of two - Shrimp Tempura being the other- non-fish seafood dishes that I eat. The Squid rings were lightly battered, and fried wonderfully. One bite of it revealed that they virtually melted in your mouth. 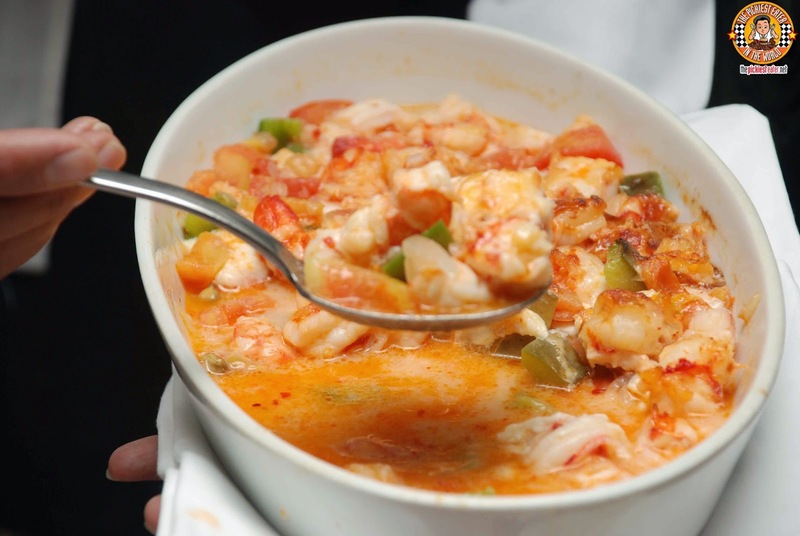 A Squeeze of lemon adds a little bit of zing, which you may pair with the tartar sauce. The Steamed Garoupa with Mixed Vegetables was more to my liking. 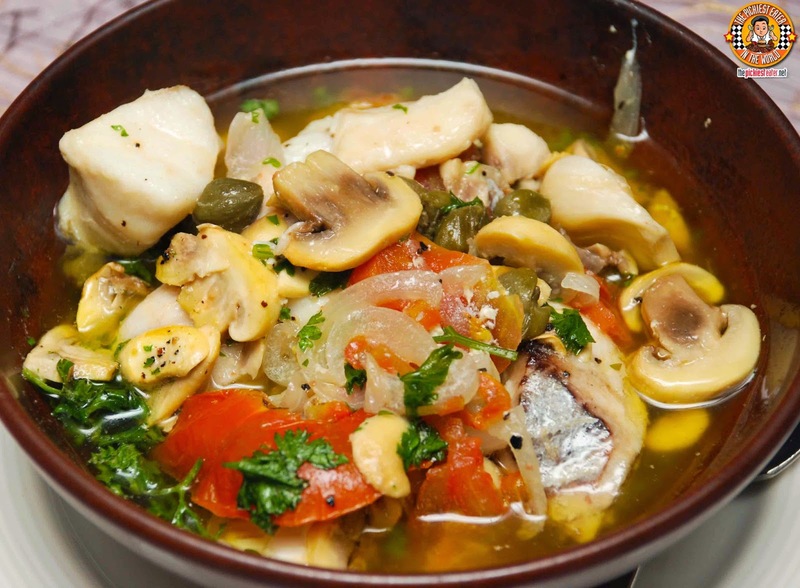 Chunks of beautiful steamed fish, bathed in a luscious butter sauce, with a medley of mushrooms and other vegetables mixed in. The thin, garlic butter sauce was what elevated this dish to another level. Another dish that I enjoyed was the Sauteed Chicken in Turkish Spices. 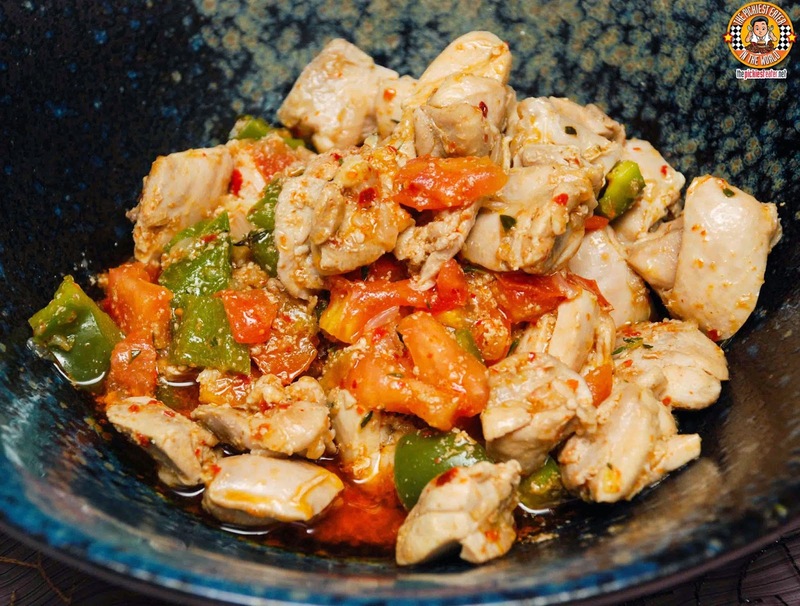 The cuts of chicken were remarkably juicy, and it being sauteed in a medley of Turkish spices gave the meat an added touch of vibrance. 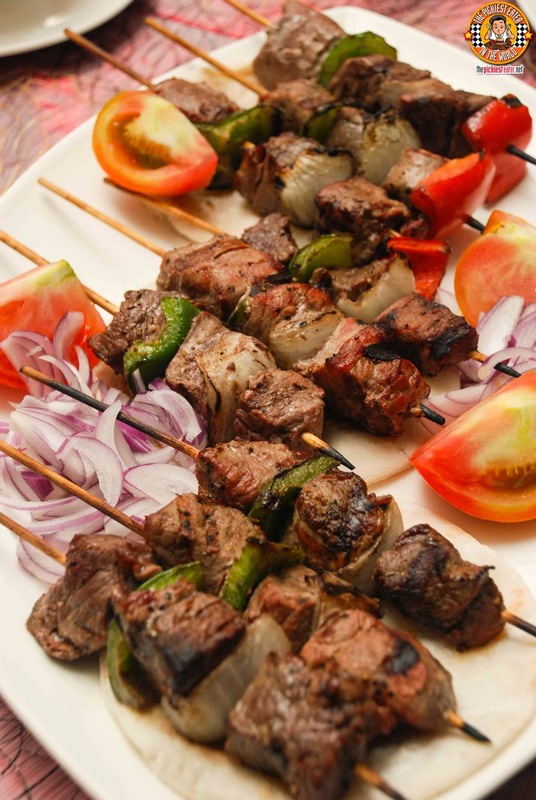 When you - and you most definitely should - visit the Treasures of Beef Skewers, I strongly suggest you make a beeline for these Beef Skewers, because there's a good chance these bad boys are going to be in high demand. After being delicately rubbed in a mixture of various Turkish herbs spices, the chunks of beef are thrown on the grill, till it gets a gorgeous char. The fusion of both savory and smokiness will ensure that one stick is not enough. 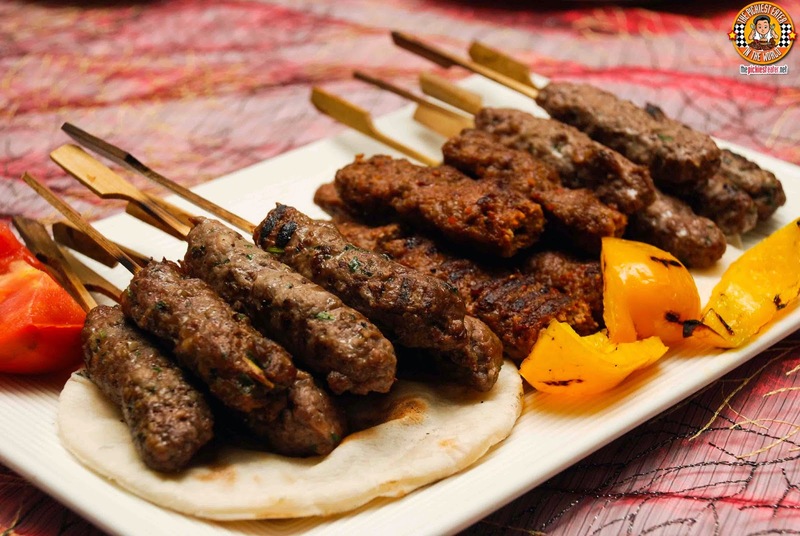 Next up, they brought out another platter of meat on sticks, namely the Lamb Skewers and Lamb Kofta. The Lamb skewers, minced lamb rolled in an array of herbs, letting the gaminess of the lamb shine. 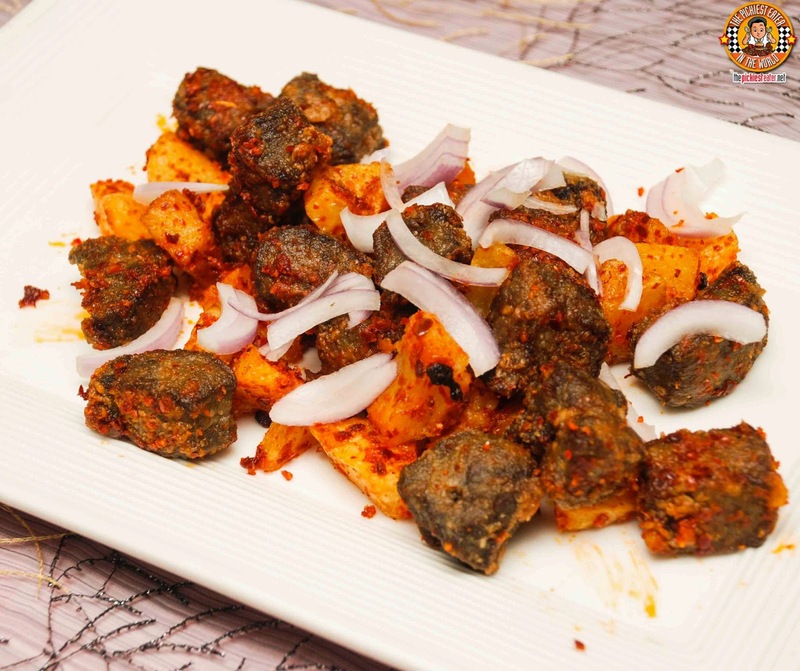 The Kofta offered a stronger punch of flavor, with an even stronger helping of heat. Though I wasn't a fan of the cut used, I still felt that the Grilled Lamb was rather delicious. 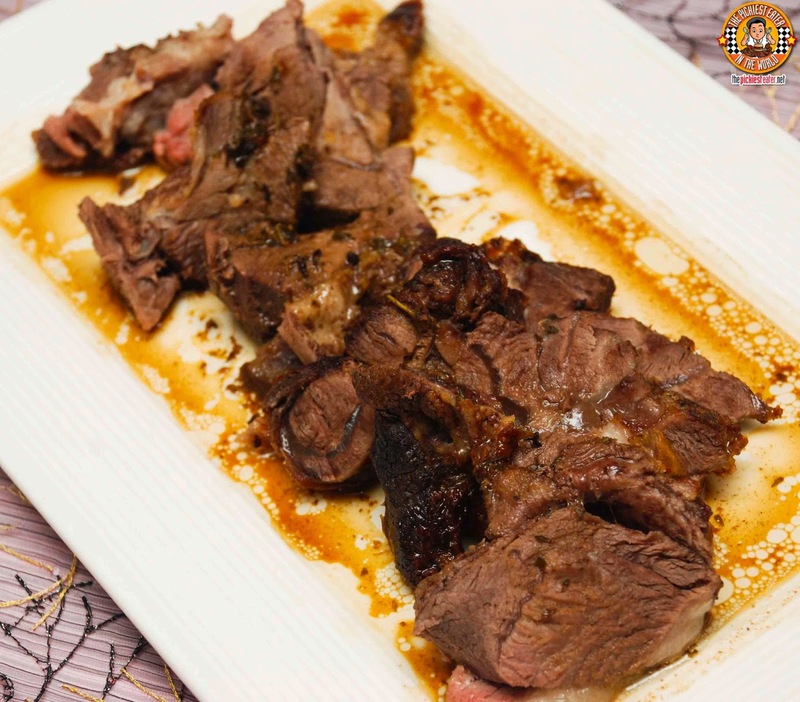 When eating lamb, I usually look for Mint Jelly or gravy, but this time, the meat stood alone just fine. My only qualm was that, they used the shoulder or something, so it was a bit "Malitid". 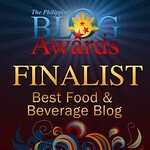 Rina let out a squeal of delight when the waiter dropped by her spot with a huge bowl of Baked Shrimps, smothered in rich cheese. 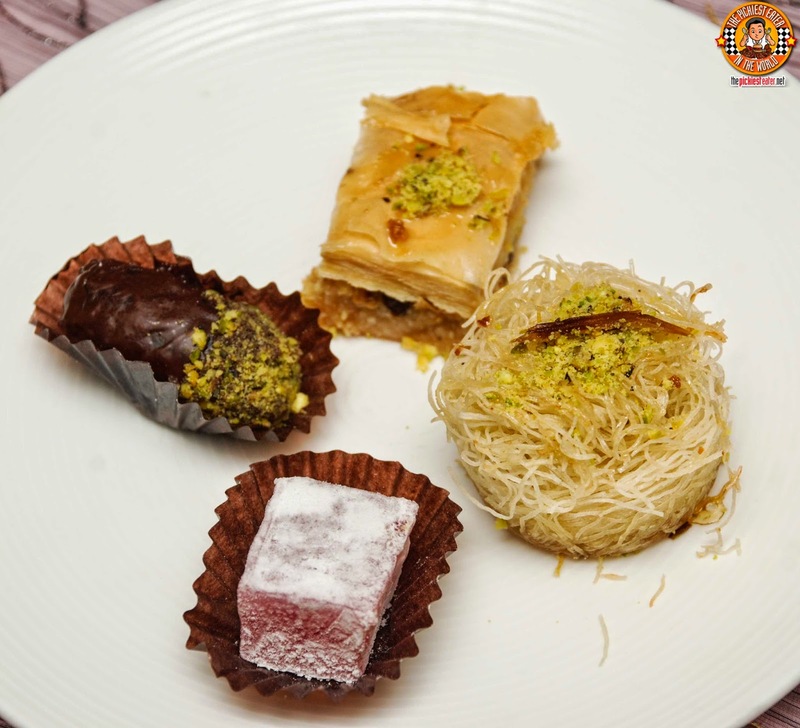 To end the meal, we were given a small sampler platter which included Baklava, Kunafa, Turkish Delight, Dates with Pistachio and Marzipan. I was surprised with how much I liked the Chocolate cpvered dates, that was sprinkled with a bit of Pistachio, and filled with creamy marzipan. My favorite by far was definitely the Baklava, which was flakey and sticky without being overly sweet. 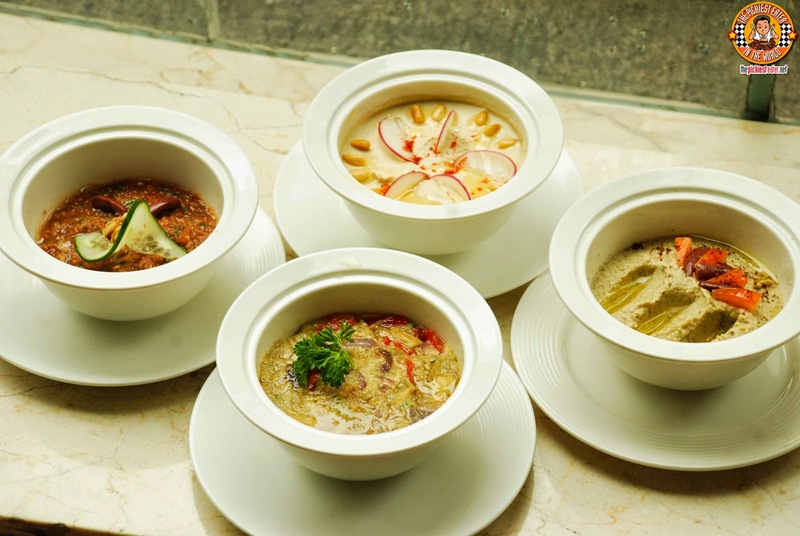 Makati Shangri-la's Treasures of Turkey promo is the closest you can get to sampling Authentic Turkish Cuisine without having to break out your passport. This is a wonderful opportunity to experience the dishes of Chef Harun Imre and Chef Ramazam Edrem, that embody the rich culture and diverse flavors of the beautiful country of Turkey. 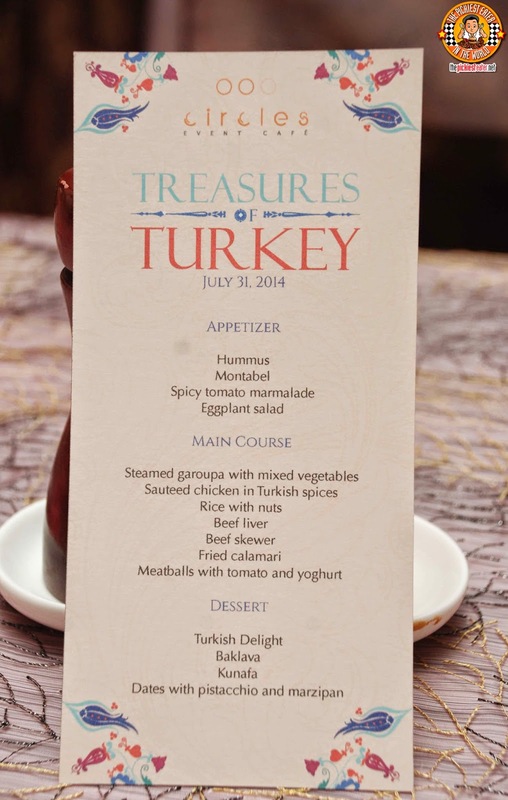 The Treasures of Turkey Promo began last August 1, and will last until August 10.